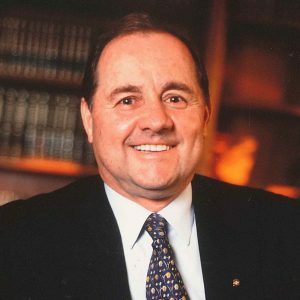 Mr. Giovanni Angelini, is a senior and well respected professional within the Hospitality industry world-wide and with a wealth of experiences of over 50 years acquired in 3 Continents, Asia in particular. A former executive and the CEO of the Shangri-La Hotels and Resorts Group for over 19 years. Also an Executive and Senior Vice President Asia-Pacific of Westin Hotels and Resorts for 13 years plus associated with a member of Prestigious Hotels in North & Central America, Europe and his mains country Italy. Founder and Chairman (2010) of the Angelini Hospitality consultancy firm in Travel & Tourism activities based in Hong Kong. Presently on the Board of Directors of several public listed hotel companies. Also on the Board of Quality Assessment Organizations and Education. Member of many industry related organizations and quality management groups. A recipient of several Lifetime Achievement Awards, Corporate Hotelier of the World (2006), an Honorary Degree of Doctor of Business Administration in Hospitality Management by the Johnson & Wales University (Honoris Causa) in the U.S., a knighthood from the Italian Government and several other recognitions.